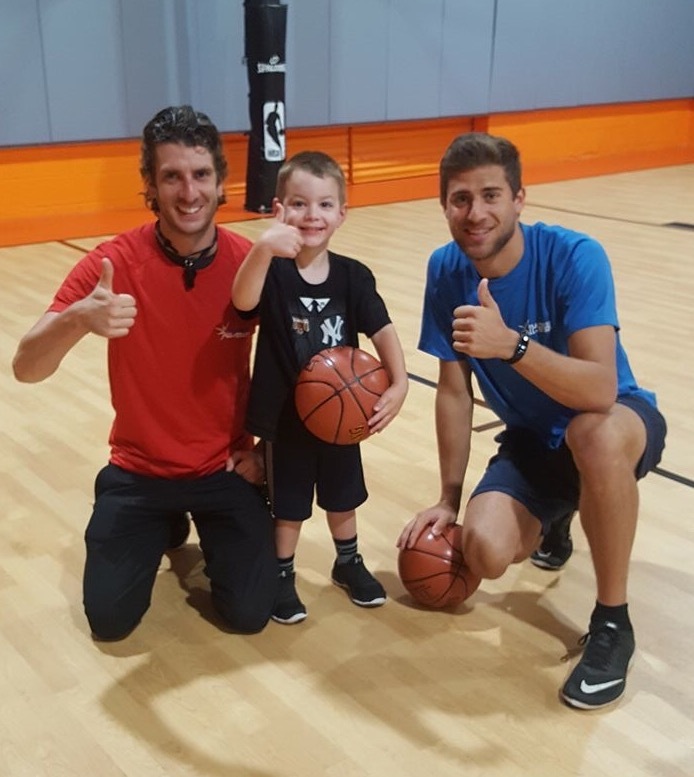 Our premier preschool basketball clinic is instructed in a small & positive setting. Each week your child will develop and grow as a basketball player and kid! Dribbling with both hands, triple threat, lay ups, proper shooting and defense are covered. We tackle these “drills” through a combination of drills & games. This clinic remains small because we want everyone maximizing their time in class. 1-Do you provide snacks and lunch? No. Parents must provide snack and lunch. All snacks & lunch should be peanut free. In event of allergy, please contact office. 2-What should my child wear? Comfortable athletic clothing: shorts, sweat pants, t shirt and sneakers. 3-What time is drop off and pick up? Drop off begins 15 minutes prior to session time. Pick up begins 10 minutes prior to session ending. 4-What if my child wakes up sick and can’t attend? We understand problems arise in life. Unfortunately, we do not offer refunds as these programs are staffed and run based on participant enrollment. We offer 1 missed day with a future credit. 5 – My child has a food allergy, what do I need to be aware of? We DO NOT guarantee a nut free setting. If your child has any sort of allergies, please give us a much detail as possible. If your child has an epi-pen, you will need to arrive early to discuss in person with our director.